French, 19th – 20th century. Born 26 November 1838, in Paris; died 21 January 1913, in Paris. Painter, pastellist, sculptor. Landscapes, still-lifes, flowers. Pierre Prins grew up in a family of craftsmen. His formative years were spent in the family workshop where everyone could draw, turn, forge and sculpt in wood and ivory. The love of materials this instilled in him led him to grind his own colours for the rest of his life, a practice that meant his works show almost no sign of age. In 1854, Prins was studying at the École des Arts Décoratifs. He became friends with Mallarmé, then Manet, and met the violinist Fanny Claus, who belonged to Manet's circle and featured in a number of the latter's paintings, such as Le Balcon (The Balcony), in which she appears as the woman standing with a green sunshade. He and Fanny married in 1869, but owing to her fragile health, they moved to Belgium where she died in 1877. Prins returned to Paris to find he had been forgotten. 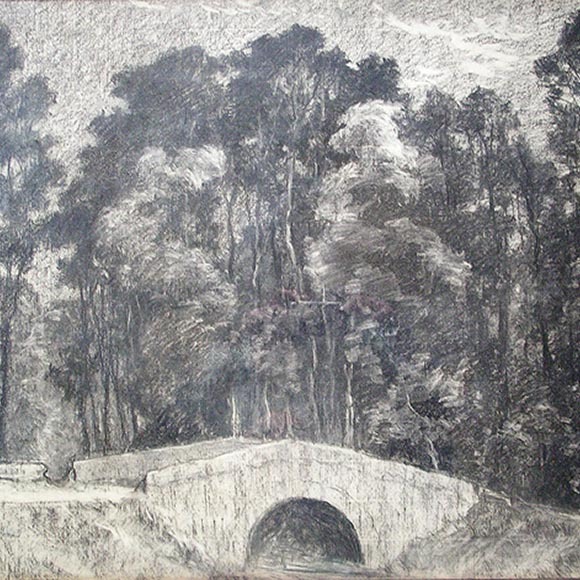 As a newcomer, he was obliged to exhibit alone at the Salon, isolated from the Impressionists and other artists who were continuing the tradition of Corot and Daubigny that he shared. At the age of 52 he held his first solo exhibition at Georges Petit's Gallery, where he became a fixture. He died in Paris on 21 January 1913, having asked that nothing be done to perpetuate his name for 30 years. 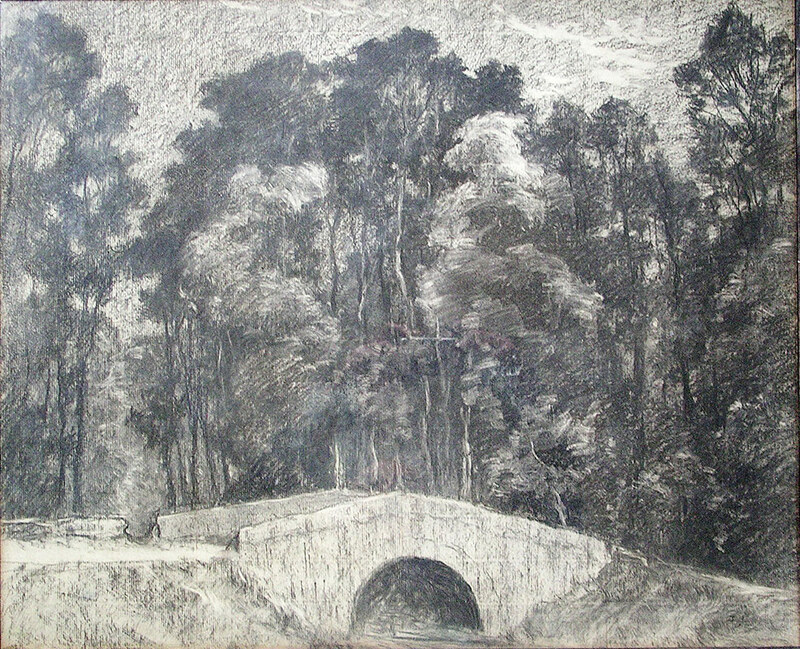 When the ban ended, it became clear that Pierre Prins was an outstanding landscape artist of his day. Prins interest in figures was limited to their role in a composition, and, though he produced numerous flower paint­ings and still-lifes, he preferred to work in the open air, on site, in both France and England, capturing effects of weather and light in different environments at different times of the day. His work is characterised by muted tones and understated brushwork and is elegiac in mood, hinting at melancholy and moral suffering. Only Edouard Vuillard, thirty years later, managed to recreate some of the emotion that emerges from Prins' paintings and pastels.